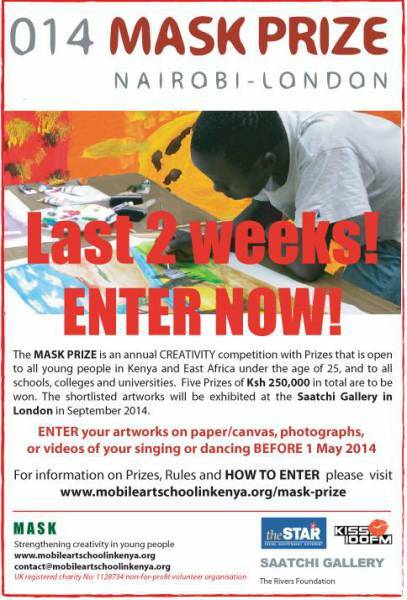 The MASK PRIZE is the annual national creativity competition with prizes. 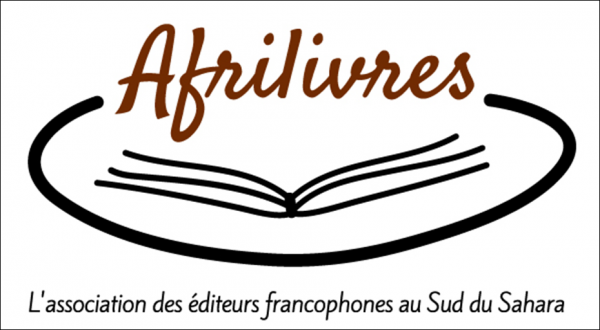 It is open to all young people up to the age of 25 in Africa and its diasporas. It hopes to promote and encourage creativity amongst young people and schools. The participants do not need to be 'good at art', anyone who is 'good at thinking' can participate. Five Prizes of 250,000 KSH in total will be awarded to 5 winners (4 artists and 1 school) at the Prize-Giving ceremony in Nairobi in June 2014. The selected artworks will be exhibited at the Saatchi Gallery in London in September 2014. The Radio Africa Group (The Star newspaper and radio Kiss100FM) is the Media Partner of the MASK PRIZE.